3 beds 3 Bathrooms 7120 Sq.Ft. 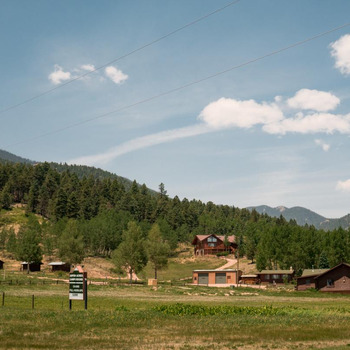 LOCATION: This property is located in South Fork, Colorado, on Hwy #160. The town of South Fork is 2 miles east and offers shopping, restaurants, repairs, lumber yard, ATV dealers/rentals and small grocery store. 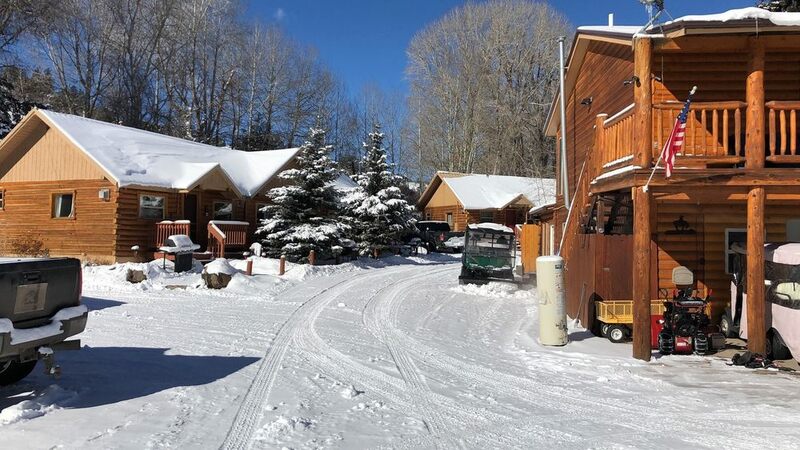 Creede is 24 miles, Del Norte, which has a new state of the art Hospital, is 16 miles, Wolf Creek Ski Area is 20 miles, Pagosa is 45 minutes, Durango is 100 miles, Alamosa is 50 minutes and offers commercial air service twice a day. ACREAGE:	17.5 deeded acres M/L and borders State Land which goes into National Forest lands. Numerous rock outcroppings and pine trees throughout the property. Ute Bluff Lodge also has two highway access points into the property off Hwy 160. 1. 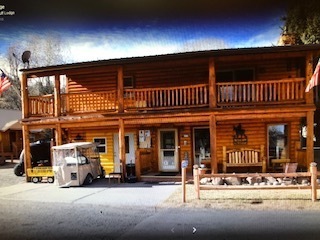 Main log home living quarters has 3 bedroom, 3 bath, a large kitchen, bar, living room, fire place, office, small retail room with oxygen stations and check-in desk. The home is full log construction containing 2489 sq. ft. with 294 sq. ft. log commercial laundry room, 592 sq. ft. covered porch and 180 sq. ft. enclosed porch. a. 1386 sq. ft. full log cabin has two separate sides. One side sleeps 10 and other side sleeps 6. All have full bath, propane heat, kitchenette and porch. b. 1364 sq. 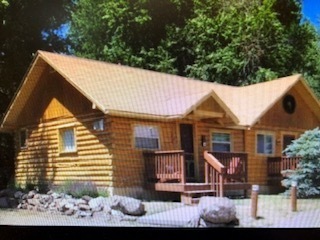 ft. full log cabin has 3 separate rental rooms and can sleep 16 people. All have full bath and kitchenettes with porches. c.	1497 sq. 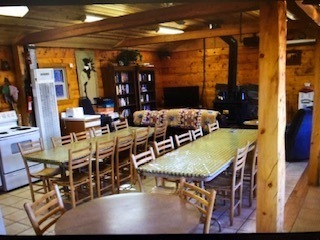 ft. full log cabin with Mezzanine area of 564 sq. ft. which offers full kitchen, bath, and meeting room for all customers. Along with 2 separate rental rooms, one for 2 people and the other for 6 people. All have full bath and heat. 3. The main lodge is 5216 and full log construction containing 21 rooms with some having kitchenettes and handicap assessable. See Lodge Room Layout for description of rooms. 4. 384 sq. ft. maintenance shop and another small building for equipment. 5. 21 RV spaces with full hookups with internet and great access. 6. Recreational area containing two hot tubes and grills, new large Teepee, fire pits and play area for enjoyment. 7. Laundry facility and ice maker for clients. 8. Hospitality log cabin full kitchen, library, and DVD library. 9. A beautiful wooded mountain walking trail surrounds the Lodge and offers peace and quiet while enjoy panoramic high mountain views. 10. 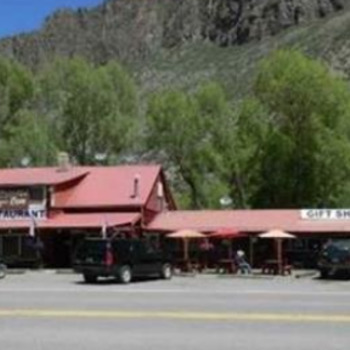 The Rio Grande River is 100 yards away and offers world class Trout fishing, rafting, swimming and tranquility. RECREATION:	A. The Rio Grande River is 100 yards and offers world class trout fishing. B. Wolf Creek Ski Area is 20 miles which enjoys some of the best skiing in the USA. C. World Class elk and deer hunting. H. Fishing of all types. J. Biking, Boating and Rafting. K. Total peace and quiet in the Rocky Mountains. L. Every Winter sport you can think of in Colorado. MAXIUM OCCUPANCY: 118 people for lodging and 21 RV spaces. Below are some positive updates that we have completed at the Ute Bluff since taking ownership. All shingled roofs have been replaced with metal. All windows have been upgraded to thermo-pane windows. There are now 4 WIFI spots throughout the property, customer response is that we have the best internet of any hotel and RV Park. All guest rooms have new televisions, new beds, and mattresses (7" memory foam with 3" gel on top). We have new sofa beds in all the cabins and in the queen suite. We have purchased fresh linens for the entire property. Buildings have been re-stained. We have replaced all showerheads, and purchased a new industrial washer and dryer. We have upgraded some doors with new insulated doors. In addition, we have installed an oxygen bar and a gift shop. 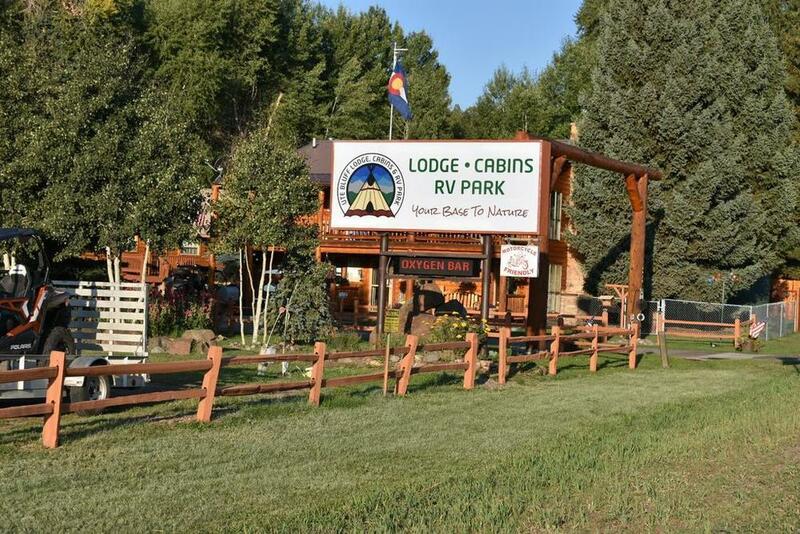 The RV Park has been rewired to code with the correct high voltage cable and new TV cable with amplifiers. All RV sites have been leveled. The property comes with the 6-wheeler that has a snow plow and blower, a wood splitter as well as a new 0-turn lawnmower and multiple tools and accessories for maintenance and so much more.